It is not a medically recognised condition. Most researches regarding the condition are still inconclusive. May cause chronic inflammation and pain. Can be improved with the help of an experienced doctor. Leaky gut syndrome is a condition where insufficiently digested food particles and other by-products leak through the lining of the intestines and enter into bloodstream. The lining has cells closely sealed through tight junctions which as filter for the gut, allows nutrients to inter the bloodstream and prevents by-products. When the inner lining is damaged due to some reason, the lining becomes inefficient, allowing substances which are otherwise prevented from entering the bloodstream, to slip into the bloodstream. This is what we know as leaky or leaking gut syndrome. Foreign substances in the bloodstream may affect the digestive system as well the immune system of a person leading to allergic reactions in the form of inflammation and even pain. Leaky gut syndrome is not a medically recognised condition and can only be diagnosed by the knowledge and experience of a medical professional. There are no tests available for the condition and it is usually diagnosed as a possible reason after looking at the symptoms, that too only if the medical healthcare provider is experienced enough to make such deduction. Leaking gut syndrome is believed to have symptoms which include inflammation, pain, food sensitivity and bloating. Inflammation and food sensitivity are considered the most common symptoms of the condition. The incompletely digested food entering the bloodstream triggers immune response which may lead to inflammation of the gut and symptoms may appear if the person has developed sensitivity for a food item. Moreover, as the immune system become hyperactive because of the continuous leakage of foreign substances from the gut into the bloodstream the body becomes more susceptible to antigens in certain food items such as dairy and gluten. Since the condition is not taught as a diagnosis in medical science, there are no medically recognised causes of leaky gut. The most commonly believed causes include damaged gut caused by medication, treatment or even eating habits. Abundance of hard to digest food items in a person’s diet can also stimulate damage to the inner lining of the intestines. 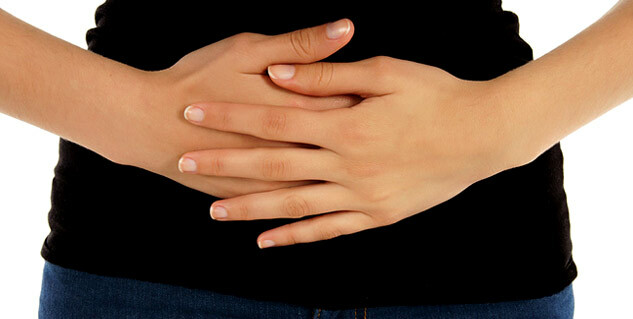 Chronic stress and unhealthy eating habits may also increase risk of leaking gut syndrome however there is no research that supports scientific data available that can conclusively identify the causes of the condition. Just like there is no diagnosis available for the condition, there is no leaky gut treatment available. While a large number of medical experts even deny the existence of the condition in the first place and seek further research in the area, several medical practitioners believe that one can fix a leaky gut syndrome by following certain measures. The most common step is to make significant changes to the diet in order to increase the performance of the digestive system and reduce the risk of damage to the gut. Another important step is to work on improving the immune system by eating balanced healthy diet rich in natural food items and taking support from supplements and probiotics. But for healing leaky gut the most important thing is to follow the guidelines of your doctor.